McALLEN — As the focus is once again on the increasing number of Central American families and unaccompanied children surrendering at the U.S.-Mexico border, several people gathered at a local park here to mark the anniversary of the zero tolerance policy that separated nearly 3,000 immigrant children from their parents. A handful of immigrant-advocacy organizations, including the Mexican American Legislative Caucus, the Texas Civil Rights Project, La Unión del Pueblo Entero, RAICES and others held a “Family Unity Day of Action” at Archer Park, just days before the one-year anniversary of the policy’s implementation. Nearly 70 people convened to mark the anniversary with some live music and words from the organizers present. The mood was one of subdued optimism, as speakers took turns addressing the modest crowd during sunset Thursday evening. Some played music, others recited poems during the event. Several attendees also brought diapers, baby formula snacks and other items to be donated to immigrant families. The executive director of MALC, Jaclyn Uresti said she traveled from Austin to McAllen to convey the importance of remembering the policy and its effects on the thousands of children just a year ago. Uresti said the organization is made up of 41 members of the Texas legislature who represent districts with more than a 50% Latino population. State Rep. Rafael Anchía, D-Dallas, said he wanted to be at the event to amplify the moment and support the ideals of a community that does not stand by as children continue to remain in detention. In a news release before the event, LUPE officials said those participating would be opposing the Trump administration’s current immigrant policies and the “manufacturing” of the crisis at the southern border. “These actions are intentionally causing chaos with mass releases of migrants with no resources and a refusal to end the zero tolerance policy that continues to separate children from their families,” the release stated. Though, now former U.S. Attorney General Jeff Sessions originally requested a change in the priority of certain federal laws, including illegal entry and illegal reentry immigration cases in April 2017. It would take a full year before the “zero tolerance” policy would begin in earnest. 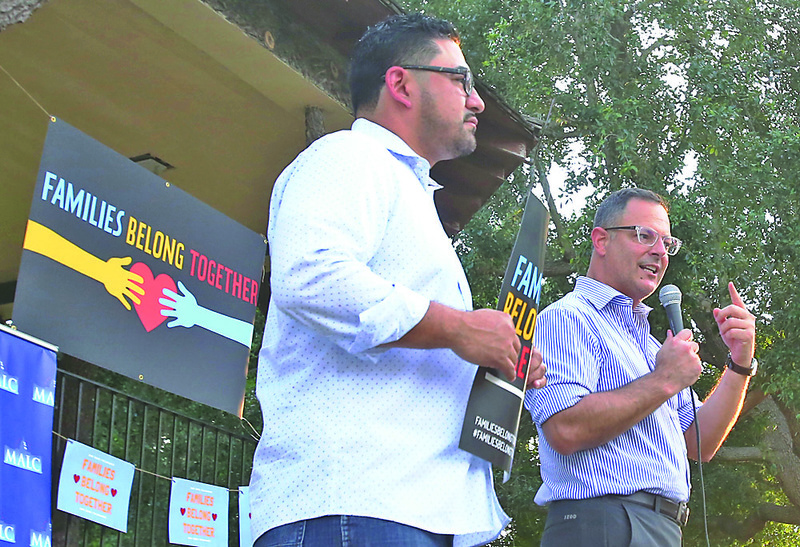 State Reps. Armando Walle, D-Houston, and Rafael Anchia, D-Dallas, speak during the Family United Day of Action event on Thursday at Archer Park in McAllen. The misdemeanor immigration illegal entry charge was considered a low priority case for prosecution under the Obama administration, and was rarely referred for prosecution due to a focus on prosecuting prior entry cases, and anyone found to have a criminal record. “The situation at our southwest border is unacceptable,” Sessions stated in a news release at the time. “Congress has failed to pass effective legislation that serves the national interest; that closes dangerous loopholes and fully funds a wall along our southern border. As a result, a crisis has erupted at our southwest border that necessitates an escalated effort to prosecute those who choose to illegally cross our border. But under zero tolerance, U.S. Border Patrol officials would refer all illegal border crossing cases — leading to a backlog at the federal courthouse as misdemeanor immigration cases took up the majority of the magistrate courtrooms. An unintended result of the increase in federal prosecution of the aforementioned cases was the separation of thousands of kids from their parents, who by law were separated during the time they were transferred from the Border Patrol’s processing facility to the federal courthouse. In many cases, the defendants facing a misdemeanor charge would plead guilty, receive a time-served sentence from the magistrate, and subsequently be released only to find that when they were returned to the U.S. Customs and Border Protection detention facility, their child had been transferred out of the facility and into those operated by the U.S. Department of Human Health and Services’ Office of Refugee Resettlement. The policy ran for months until President Trump, amid increased pressure from bipartisan lawmakers, conceded the policy had endangered thousands of children in the government’s care and signed an executive order June 20, purportedly ending the separation of children from their parents. A reported 2,700 kids have since been reunited with their respective parents. Ricky Garza, an on-staff attorney for TPRC, said despite the executive order, his organization has found that immigrants being referred for federal prosecution are still being separated from their children. Garza said the organization has interviewed more than 10,000 people since the implementation of the policy, subsequently identifying roughly 50 cases in which a child was separated from their parent after the June 20 executive order was signed by the president. “I think it’s important to mark the anniversary (of this policy) because the president used zero tolerance to turn our courthouses into family separation factories — that was the mechanism they used to tear families apart, by bringing them into court and then taking their kids away while they were in the courtroom, and didn’t know what was happening,” Garza said. The civil rights attorney said they are calling for the policy to end, and for laws that criminalize migration to be repealed so they can put an end to the crisis at the border. The anniversary of the policy’s purported end comes at a time when CBP and Border Patrol officials are facing what they call a strain to the infrastructure of their immigration system, with roughly 100,000 apprehensions at the southwest border in March. The majority are immigrant families and unaccompanied minor children from Central America seeking asylum. During a tour of the CBP central processing center in McAllen on Wednesday, officials said the facility was overcapacity with 2,400 people held in a building meant to house a maximum of 1,500 people. Border Patrol officials said with about five months remaining in fiscal year 2019, they had already used $12.5 million of $14 million in their operational budget due to the increase in asylum-seekers surrendering around ports of entry. They’ve apprehended 1,000 people or more a day for nearly two consecutive weeks, Border Patrol officials added, with 8,800 apprehended just last week, at the end of March. The lack of capacity has prompted Border Patrol to begin releasing immigrant families with notices to appear, citing mitigation of safety risks to their agents, and due to a lack of space at U.S. Immigration and Custom Enforcement facilities. Ultimately, CBP and Border Patrol officials said that the laws around immigration need to change in order to de-incentivize people from coming to the U.S.-Mexico border. 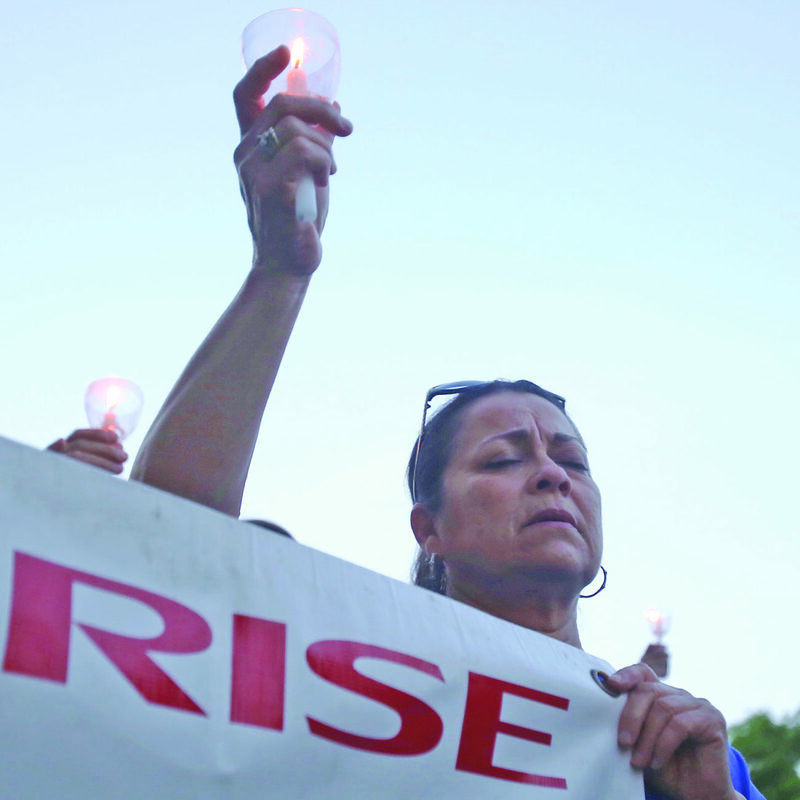 The policies outlined include the Flores settlement agreement, which dictates how long a family unit may be held in CBP custody, the Trafficking Victims Protection Act. The act protects human trafficking victims, and includes provisions for unaccompanied migrant children, as well as changes to the credible fear process. That process allows for anyone who demonstrates that he or she has a credible fear of returning to his or her country cannot be subject to deportation from the country until the asylum-seeker’s case is processed. DHS Secretary Kristjen M. Nielsen last week asked Congress, as part of a legislative proposal, for more bed space, the ability to hold families past the 20-day period established by the Flores agreement, and the authority to deport unaccompanied children, the last of which was denied by House Speaker Nancy Pelosi Friday. “Democrats reject any effort to let the administration deport little children, and we reject all anti-immigrant and anti-family attacks from this president,” Pelosi said in a prepared release. On Thursday, President Trump backed off on a threat to shut down the southwest border if Mexico does not stem the increase in asylum-seekers arriving at the border. The president said he would give Mexico a “one-year” warning to stop the flow of drugs, warning he would impose tariffs on cars if Mexico failed to do so.